What does it take to get that loaf of bread into your hands? Wheat grown by a farmer is ground into flour and used to make that bread. Rewind the process and you begin with a wheat seed. 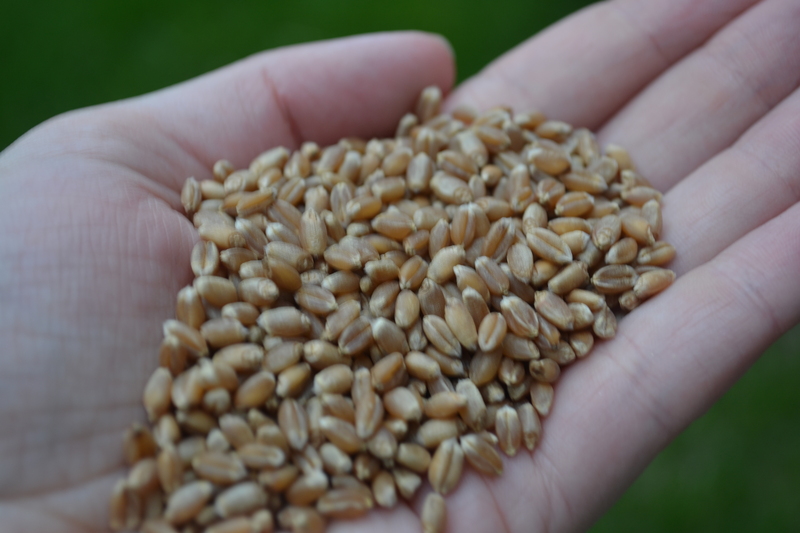 Wheat is the cornerstone of many of the world’s most basic foods. I’ve decided to start a new blog series called Follow the field. I’ll be following one of my family’s wheat fields from seeding to harvest. On the farm we name all our fields for identification purposes and because it’s easier to give directions to that particular field. The field I’m following is the Giesbrecht field located near Snowflake, Man., only a few miles from the North Dakota border. Every few weeks I’ll post an update on the field’s progress including photos. I’ll try to keep the posts as short and simple as possible. The purpose is to educate readers who aren’t familiar with the process. So please join me on this journey… from field to fork. Seeding: I’m going to begin with seeding, which takes place every spring. However, it’s important to note that prior to the actual seeding of a field much planning and preparation work has been done. A farmer has to determine what crop will be planted in that field (factoring in crop rotation – it’s not good to grow the same crop in the same field every year), what variety of the crop will be seeded in the field, how much seed is needed for the field, and then of course the farmer has to source the seed (either buy it or use their own). When the weather and soil conditions are right, the farmer seeds the field. 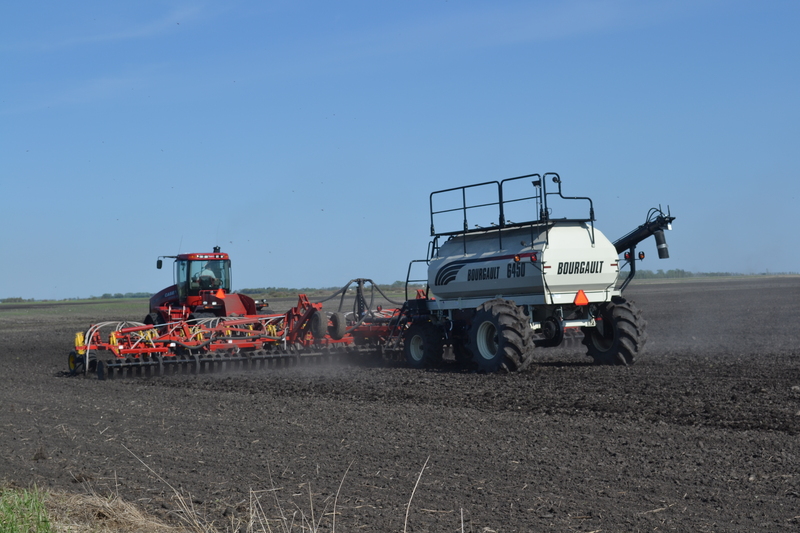 As you may have heard in the news, most areas of southern Manitoba are facing excessive moisture conditions this spring which has delayed seeding and created less than ideal planting conditions. This has created many challenges and frustrations for farmers as many areas of the field are too wet to be seeded. The Giesbrecht field is approximately 320 acres (An acre is a unit of area. One acre comprises 43,560 square feet, about 4,050 square meters or about 0.405 hectares). 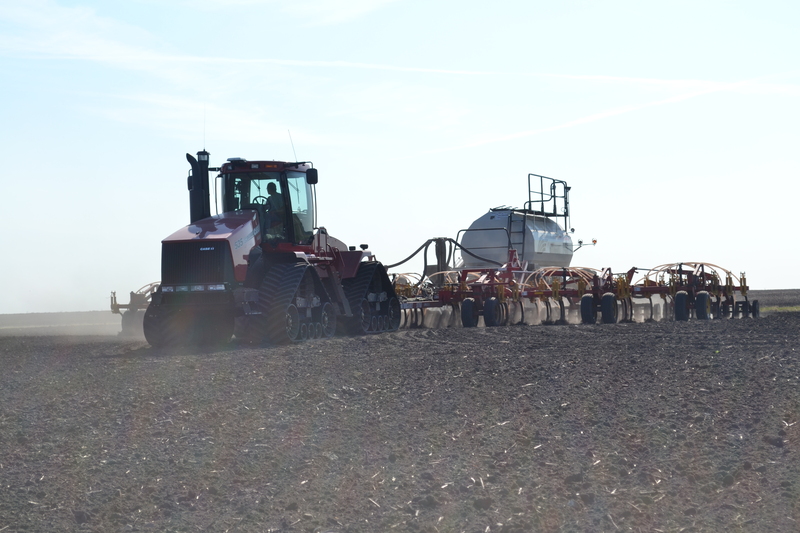 My brother Derek seeded approximately 280 acres of the field into AC Kane wheat, which is a hard red spring wheat variety, and approximately 40 acres had to be left because it was too wet. Depending on the weather and if the field dries up enough, he may be able to go back at a later date and seed the remaining acres. If you have any questions as you Follow the field please feel free to leave a comment or send an email. If I don’t know the answer, I’ll find out for you. One of my friends is from Snowflake, MB! I love the name of that town. Good blog series idea! Really? Who’s that? Thanks for the comment! So the seed-free wheat straw I used for mulch in my garden last year was not seed free, of course, so wheat volunteered & now I’m wondering how to tell when it’s time to harvest it, since I do grind my own flour & might as well put it to use, since it grew. Yes, you may as well put the volunteer wheat to use. In general, wheat is ready to harvest when the heads (the tops) are bent over and pointing downwards. Another sign is the color – wheat tends to become a golden brown color towards harvest. And if the grain cracks in your mouth and is soft, it’s probably ready to be harvested. Another suggestion would be to google wheat harvest images and see if you can find any images to compare yours to. Hope that helps.